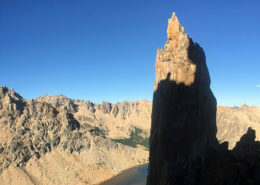 After a four hour approach through the Nahuel Huapi National Park we hike into the valley of Laguna Toncek, situated at 1,700 meters above sea level. 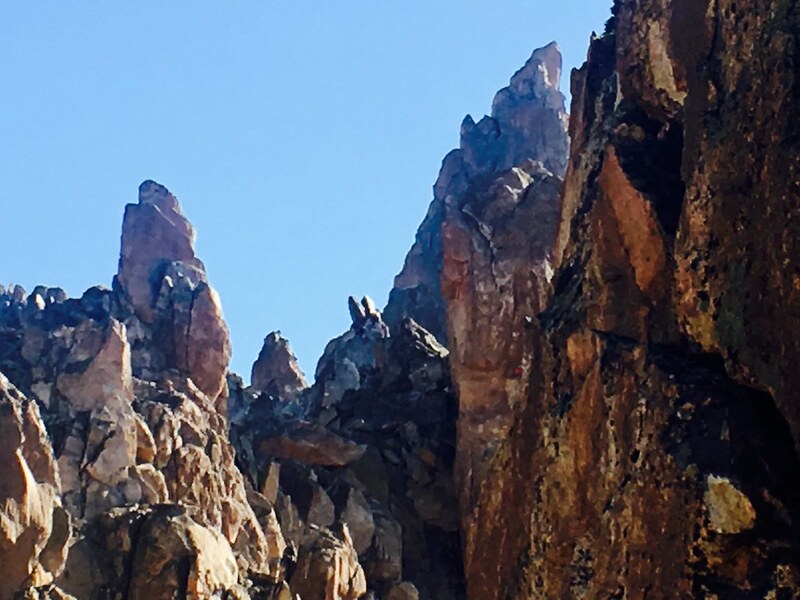 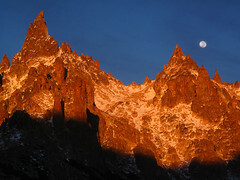 You’ll be stunned by the beauty of the jagged granite spires of Cerro Catedral. There are around 200 traditional and sport routes (mostly trad) to enjoy on the different spires such as El Monje, Aguja Frey, Aguja El Tonto, M2, El Abuelo, La Vieja, Campanile, and Cohete Lunar. 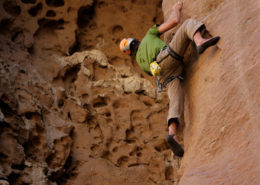 Climbs average 3-4 pitches, but we can show you good 6- 8 pitch climbs too. 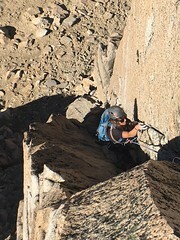 Mostly traditional climbing in between 4 th / 7b French grade ( 5.7 to 5.12’s YDS). 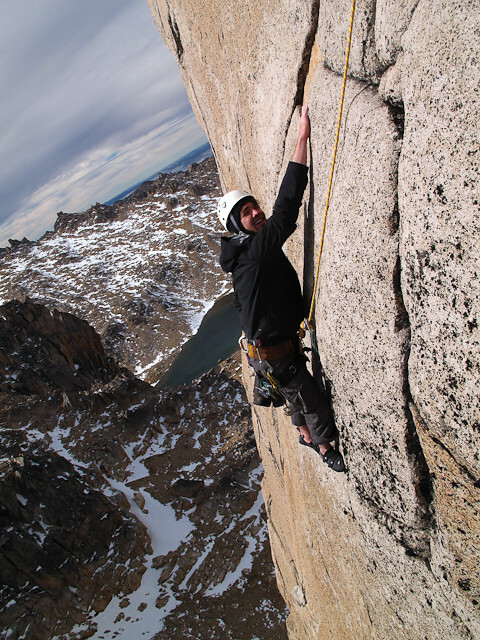 This golden granite offers pure cracks systems, slabs, face climbing, “chicken heads”, and delicate smearing climbs. 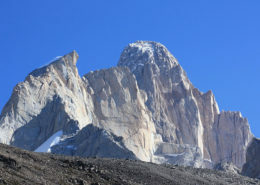 Most of the modern routes were put up by Michel Piola, Rolando Garibotti, Sebastian de la Cruz, Ramiro Calvo, Manuel Rapaport and others in the ‘80s and ‘90s. 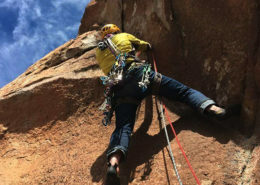 These climbers established an aesthetic combination of bolted and trad protection climbs. 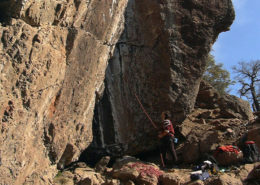 You can find some run-outs and some well protected routes. 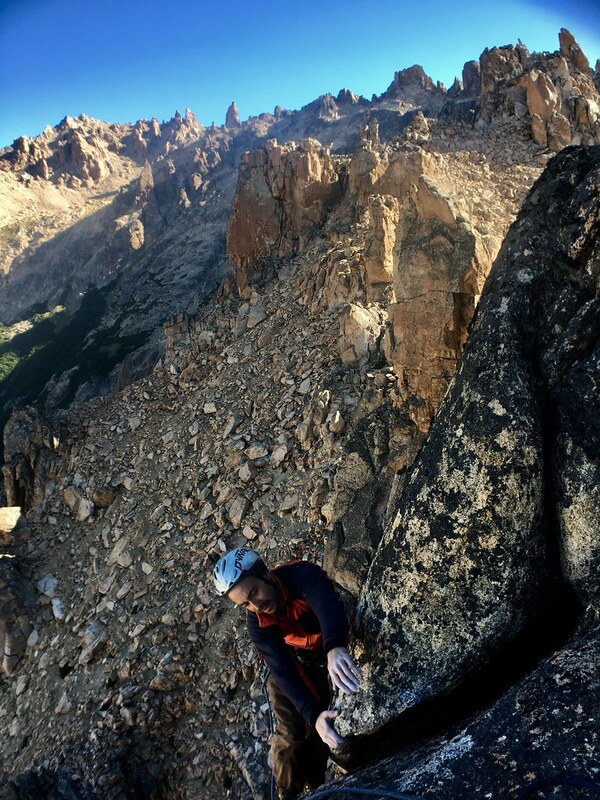 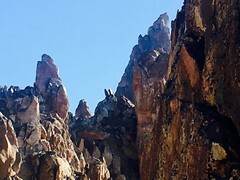 In most cases, bolts were placed only as necessary, which gives Frey a “traditional” alpine crag feeling. 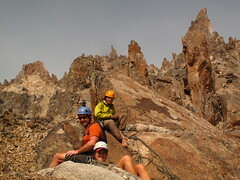 After climbing all day we can go for a dip in Laguna Toncek to cool off. 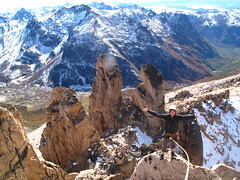 Then, we’ll head to the hut,Refugio Frey, which offers very good pizza and wine. 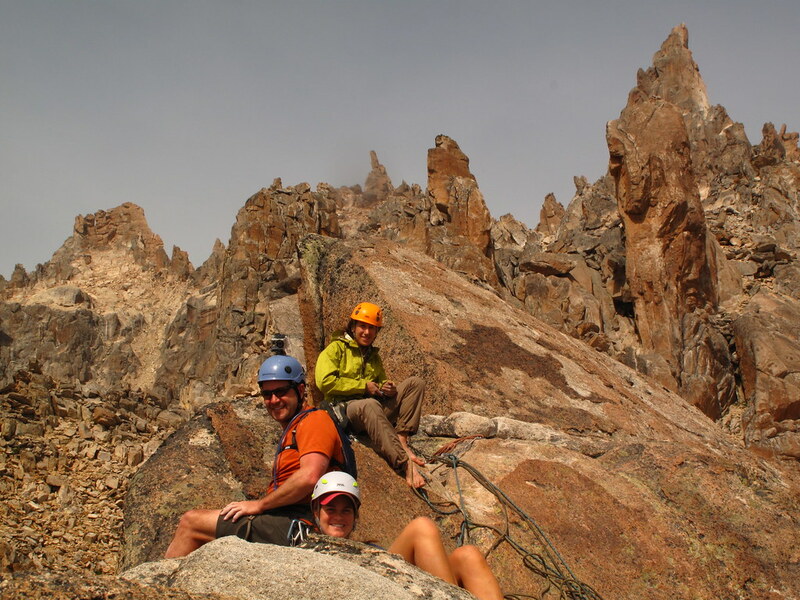 The alpine setting, beautiful golden granite spires, and the variety of climbs makes Frey one of the best areas for rock climbing in South America! 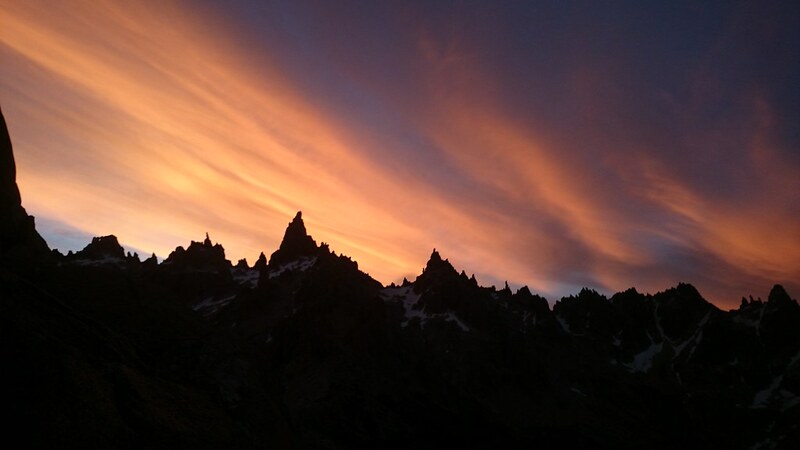 Life in Frey is perfect! 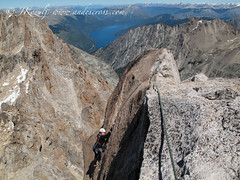 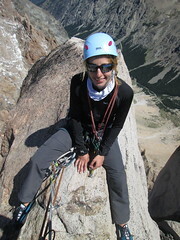 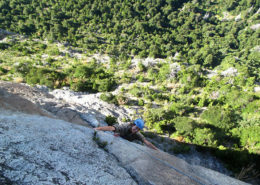 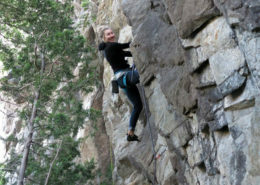 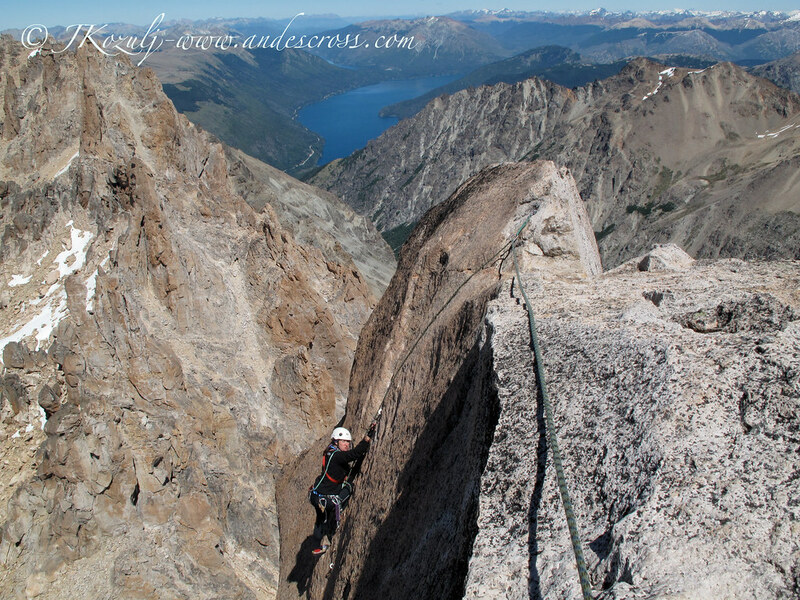 For this rock climbing trip, we strongly recommend hiring a Professional IFMGA UIAGM or AAGM Mountain Guide. Meals and lodging in the mountains.